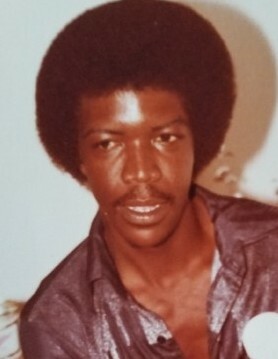 Earnest Albert Jackson II was born on January 1, 1954, to Clarence Jackson and Susie Marie Jackson, in Mobile, AL. He passed away at home on Monday, November 26, 2018, in Mobile, AL. He was preceded in death by his father Clarence Jackson; grandparents, Earnest Albert Jackson & Charity Lee Jackson and Emble Mae Sanders & Bishop Sanders. Earnest was a graduate of Toulminville High School, Class of 1972. Upon completion of high school, he went to Grambling University where he played in the Marching Band. He was a member of Canaan Missionary Baptist Church. He worked as a forklift operator. He loved his family and was a fan of the Alabama Crimson Tide and Pittsburg Steelers football teams. He leaves to cherish his precious memories: the mother of his children, Patricia Ann Holley-Jackson, Mobile, AL; and two sons, Earnest Anthony Jackson III, Mobile, AL; and Sean Terrell Jackson, Atlanta, GA. Grandchildren, Jamarcus Deshun Jackson, Tuskegee, AL; Chanel Teshun Jackson, Mobile, AL; Sean Terrell Jackson, Atlanta, GA; and Presence Danais Jackson, Atlanta, GA.
A loving and devoted mother, Susie Jackson, Mobile, AL; one sister, Audrey Jackson-Avant, Mobile, AL; four brothers, Creig Khalil Jackson, Rahway, NJ; Rayford Lebaron Jackson (Shantoi Jackson), Phoenix, AZ; Kenneth LeVon Jackson, Ft. Walton Beach, FL & Derrick DeWayne Jackson (Deborah Cooke-Jackson), Sacramento, CA and a host of nieces, nephews, other relatives and friends.